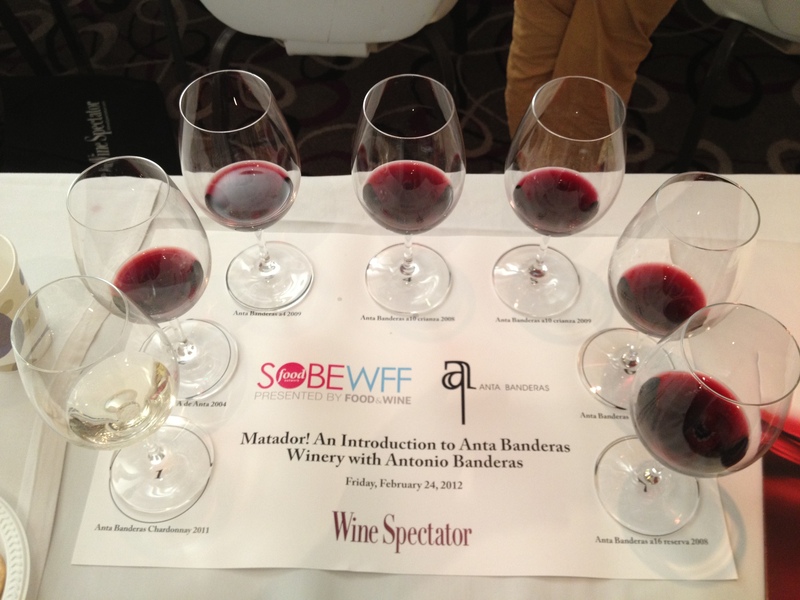 Last Friday I attended the presentation of Anta Banderas wines, as part of the South Beach Wine and Food Festival. I went in expecting to taste a new Spanish wine and hear a typical celebrity endorsement pitch, but I walked away impressed by the true commitment to the brand demonstrated by the actor. He quickly confessed that the name Anta does not come from his mother Anita. In 2009, Antonio Banderas became a partner in the original company Anta Bodegas and the winery was renamed Anta Banderas. Using celebrities as spokespersons is nothing new, of course, as is creating products that capitalize on the image of a celebrity (Donald Trump ties or Jennifer Lopez perfume.) But the latest trend has been naming a celebrity as a “creative director” of a brand, and it’s here where authenticity comes to play. Does anybody really believe that Will.I.Am is helping computer scientists at Intel develop their latest chip, or that Lady Gaga can spearhead the rebirth of a troubled and outdated brand like Polaroid? What can Victoria Beckham bring to Land Rover, other than her ability to ride and own multiple ones? Justin Timberlake is credible as the creative force behind the William Rast clothing line, but who buys that he’s designing exotic metal-alloy heads for Callaway clubs? Most of these “creative director” appointments are transparent PR efforts by these brands, eager to connect with a new generation of consumers. Since this is a more informed, cynical and hands-on interactive generation, a typical spokesperson or endorsement is seen as insufficient, so the celebrity is given an augmented role which is supposed to make us believe it went beyond cashing a paycheck. In short, he made an authentic connection between his celebrity persona and the brand. During the closing Q&A several women asked if he remembered them, creating a blank uncomfortable stare on Antonio’s face. He obviously didn’t know them but he does recognize the art of wine making!